The playLITE practice trumpet mute is the ideal accessory to allow you to play very quietly. Featuring a colourful red and white plastic body, along with a matching rubber stop, the mute reduces the overall noise of any trumpet. Whether you're warming up before rehearsal or trying not to disturb the neighbours, the playLITE mute is perfect for any budding trumpeter. 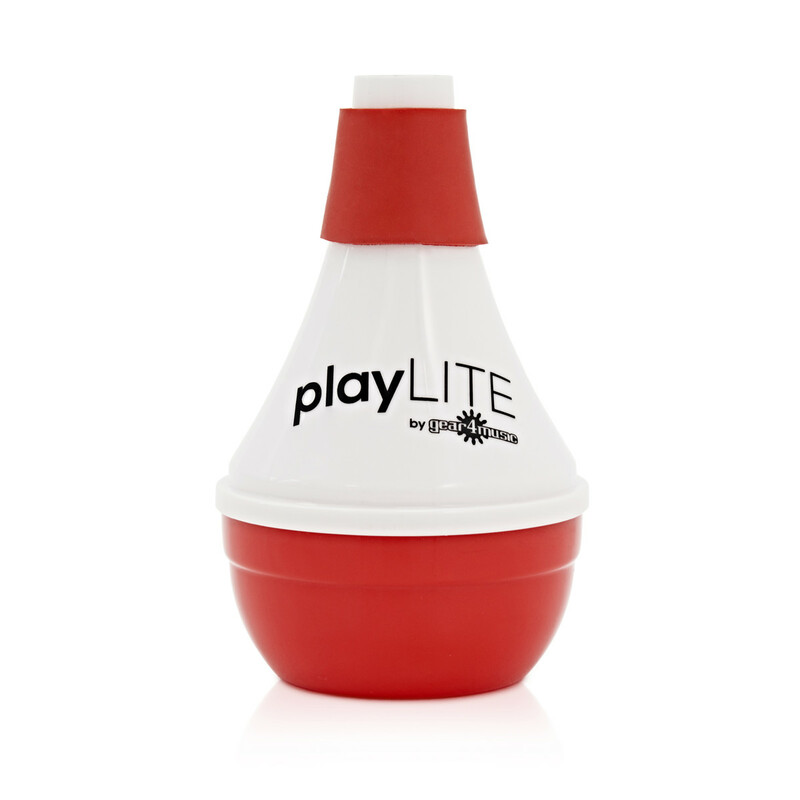 Unconventionally, the playLITE practice trumpet mute is made from a high quality plastic body. Nevertheless, this mute creates an authentic tone and has the same characteristics of metal practice mutes. The colourful stop is made of rubber, which secures the mute in both plastic and metal trumpets, making it suitable for all trumpet players.